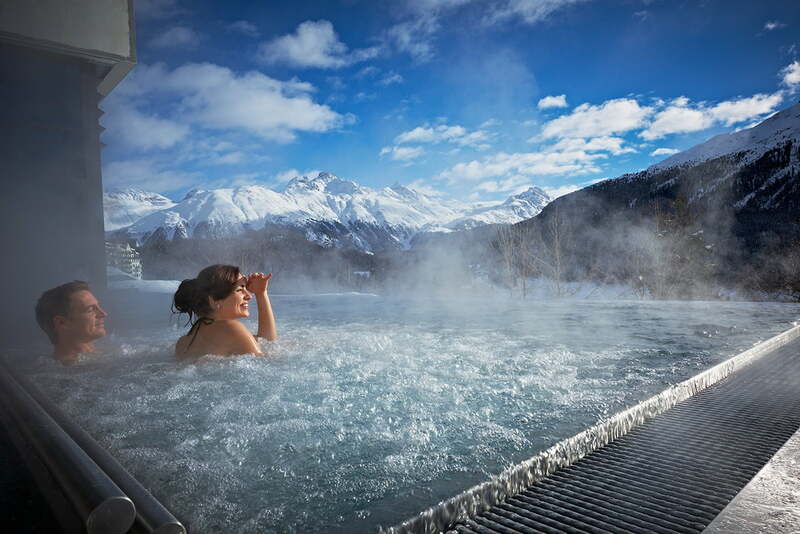 Before St. Moritz rose to prominence as a glamorous ski resort, its popularity was primarily due to its healing mineral springs. 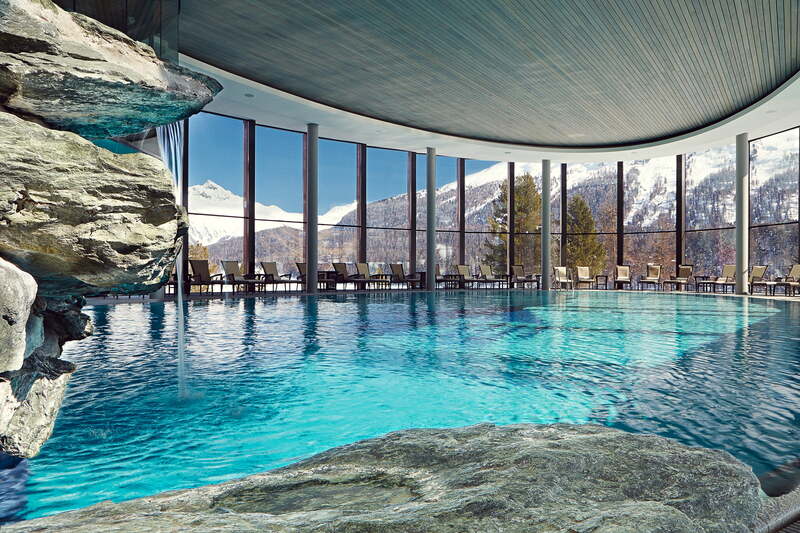 A relaxing wellness treatment at one of the numerous spas is just as much a part of a St. Moritz holiday as the sporting action on the ski slopes. In fact, the town’s spa traditions have been practised for centuries. In 1907, Europe’s oldest intact wooden spring tapping was discovered here. The structure is thought to date back to the year 1466 BCE. Even the Celts sought to improve their health with St. Moritz’s carbonated and iron-rich mineral water. The ancient spring tapping and its history are on display in Forum Paracelsus. 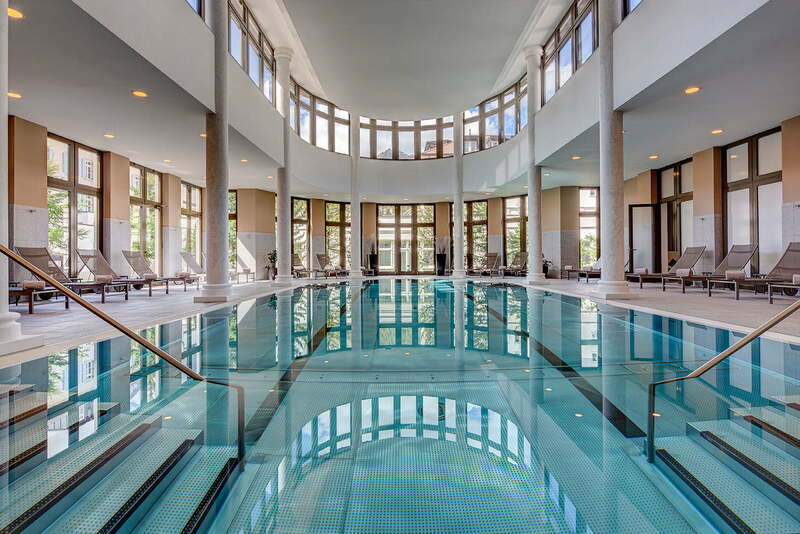 These days, this rich tradition lives on at places such as the OVAVERVA Pool, Spa & Sports Centre. Everything here revolves around Ovaverva, which means vibrant sparkling water in the local Romansh language. Visitors can experience the healing waters in the spacious swimming and diving pool, the outdoor pool with a view of the Alps, as well as in the children’s fun area that features lots of different water slides. The spa area offers a luxurious selection of saunas, massages and cosmetic treatments. Respected naturopaths such as Paracelsus praised the healing powers of St. Moritz water as early as the 1500s. People’s desire for physical and spiritual rejuvenation, relaxation and good health continues to this day. To meet this need, MTZ Heilbad unites the latest medical findings with the benefits of traditional spa culture. 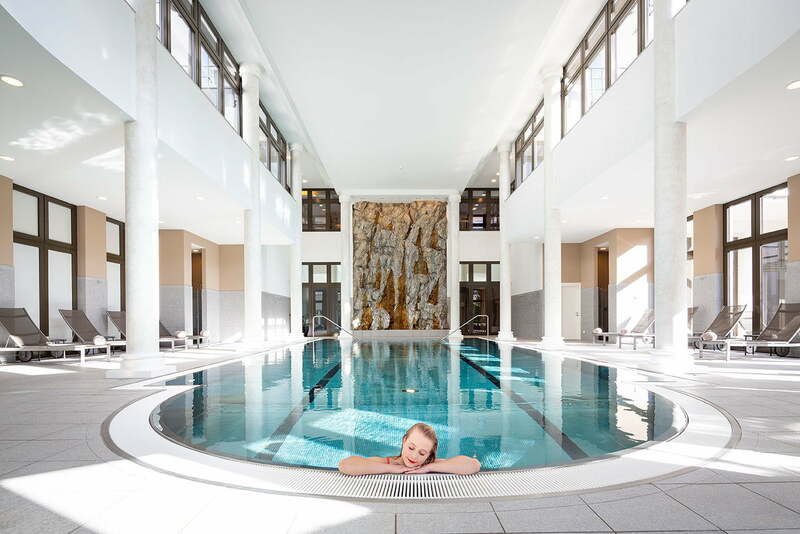 In addition to the public pools, you can of course also head to one of the many hotel spas to unwind, such as Palace Wellness, the spa at the legendary Badrutt’s Palace Hotel. 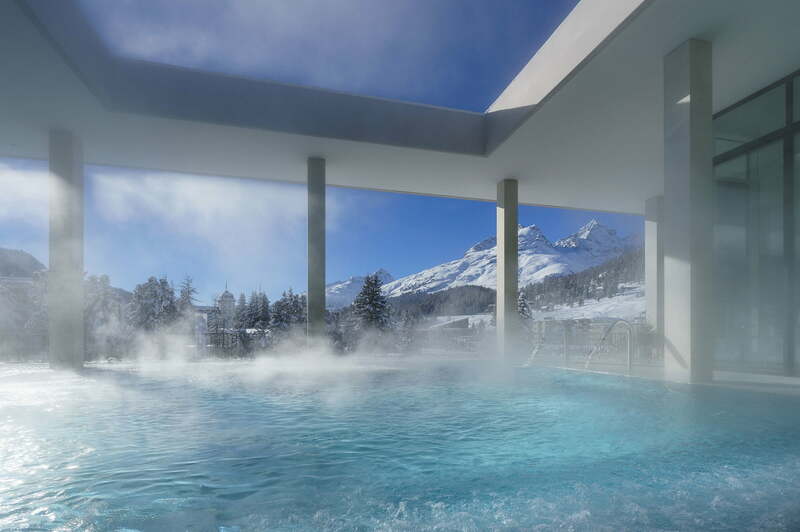 Or head to the 2,800 m2 wellness paradise at the Kempinski Grand Hotel, or the Kulm Spa St. Moritz, which offers a superb view of Lake St. Moritz. If you prefer to combine your relaxation with exercise, don’t miss out on the world’s first yoga piste, where you can stretch and unwind surrounded by the snowcovered glory of the Alps. There are four sites on the Paradiso piste in the Corviglia ski region were people can practice “yoga on snow” on their own or as part of a class. Another type of outdoor yoga that is in tune with nature – but which has an added fun factor – is yoga with goats. Five goats accompany the group as they practice yoga, and these fun-loving and curious quadrupeds have a calming effect on the participants. Every goat yoga session is different. They’re relaxing, fun and provide a great opportunity for unique encounters.